Federal Polytechnic, Bida [FEDPO-BIDA] National Diploma [ND] Full-Time First [1st], Second [2nd], Third [3rd], Fourth [4th] and Fifth [5th] Batch Admission List of Candidates Offered Provisional Admission for 2018/2019 Academic Session. Authorities of the Federal Polytechnic, Bida (BIDAPOLY) has released the ND full-time admission list for the 2018/2019 academic session. 1. 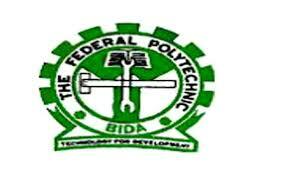 Federal Poly Bida ND 1st & 2nd Batch Admission List 2018/2019: As at the time of this publication, Bida Poly ND full-time first and second batch admission list are pasted on the Notice Board of the Polytechnic. 2. Federal Poly Bida ND 3rd Batch Admission List 2018/2019: We have successfully managed to get hold of the third batch admission list and have made it available in pdf for download. All admitted candidates are to Proceed to accept their Admission Offer on JAMB CAPS portal and Print their JAMB Admission Letter.